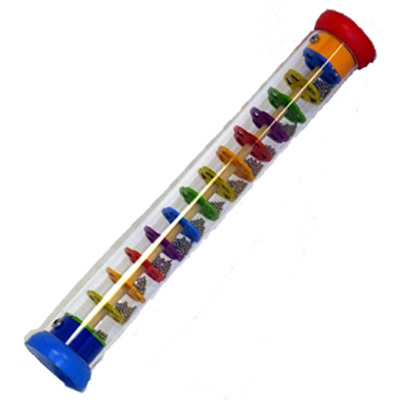 This colourful rainstick has metal beads safely enclosed in a clear plastic tube with wooden ends and dividers. Length: 34 cm. Diameter: 5 cm.